If you are an entry-level graduate or Jobseeker, this is your time to kick start your career and we will help you land your dream job. OPT Nation offers you a complete career transition by providing training and placement program for F1 visa holders under OPT /CPT and other EAD/GC/USC graduates looking for Job Opportunities in the USA. OPT Nation offers flexible IT training and placement program delivering onsite classroom training in New Jersey as well as online training while meeting the excellence in delivering the knowledge to graduates and job seekers and help them get placed in a dream job. There is an importance of training and placement for OPT and other graduates so as to get well trained in the job fields to deliver the best of their skills and make a high impact in the industry. Our Training and Placement Programs for F1 visa holders, PR’s and Citizens helps get placed with the best jobs in big partnered companies. You will get to master the business and IT technology details of the study. Job seekers are having a big competition in job-search in every industry like searching for entry-level jobs in USA or OPT jobs in the USA; so this is a great option to choose training and placement and get skilled in your domain. We have designed this program to give you the best of the skills and help you build a successful career kick start. Our expert trainers will train you in the best possible way to let you learn and gain knowledge about all the high industry level work experience and that will be rewarding throughout your career. Our Training and Placement Programs constitutes highly skilled professionals who mentor the best access for Training Sessions, onsite Training and Placement and on the job Support. We have industry experts to teach you all the deep and high volume courses for beginners and we provide advanced training. You will get to learn everything about the high industry level work experience. Our Training and Placement Services are available for multiple locations in the United States. Be a student centric approach we are always focused on, helping the international students in need of career exposure. Including all the theory and practical work training, we also offer some other support for your career job placement like the resume creation, profile making, interview preparation and conclude with project placement so you can have a resume best fit for the positions.… so each candidate gets the best training services to ensure success within the lowest fees. Resume Writing – Your resume or CV is most important when applying for a job. We will help you create a professional resume with a custom cover letter that will stand out in your placement process and get noticed by the employers. Resume Blast Service – OPT Nation offers resume blast service to job-seekers so they can circulate their resumes to reach thousands of employers registered with OPT Nation. Resume Priority Service – OPT Nation offers to resume priority service using which you can pin your resume at the top of the resume search page when the employers are searching for resumes. Interview Guidance – Performing the best in an interview is a result of hard work and smartness. We will guide you and prepare you for the interview during your placement process. At the completion of training, we will provide students with the placement process. We ensure a guaranteed placement with the best clients. We have placed many international students as we have a number of OPT, CPT and H-1B employers partnered with us. Our placement coordinators work their best with many of the employers and make sure to place you in a well-established e-verify company. These e-verified companies also sponsor visas like H1B, GC, OPT Extension & H1 transfer, which will be helpful for you in future. We provide placement assistance through our wide network of partner companies and deliver assured placement within 2 to 4 months of training. 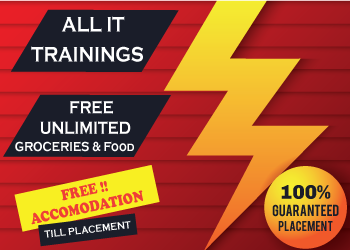 Enroll with OPT Nation Training and Placement Services to gain the best of our training programs and full placement assurance in the most affordable prices. If you are a job seeker or fresh graduate searching for jobs and eagerly looking for a career start. Don’t Wait!!! If you are interested in joining the OPT Nation team, please email at info@optnation.com.